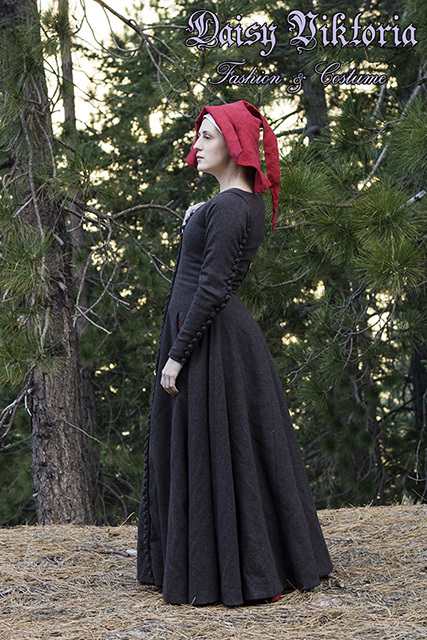 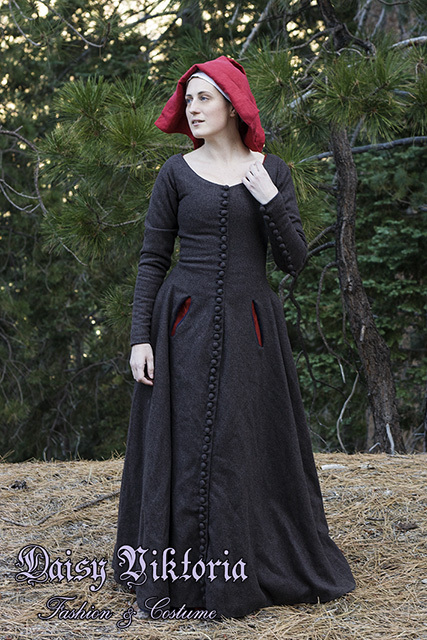 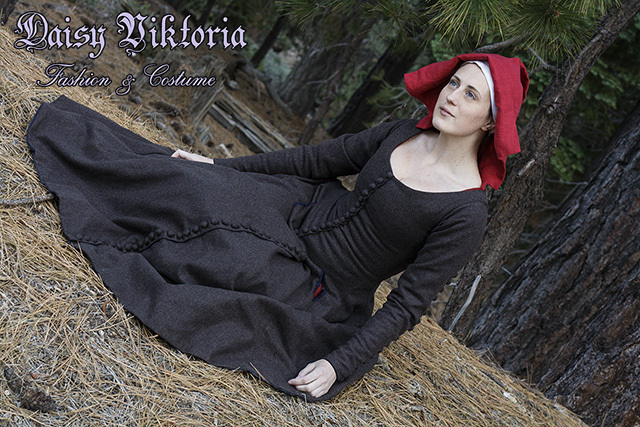 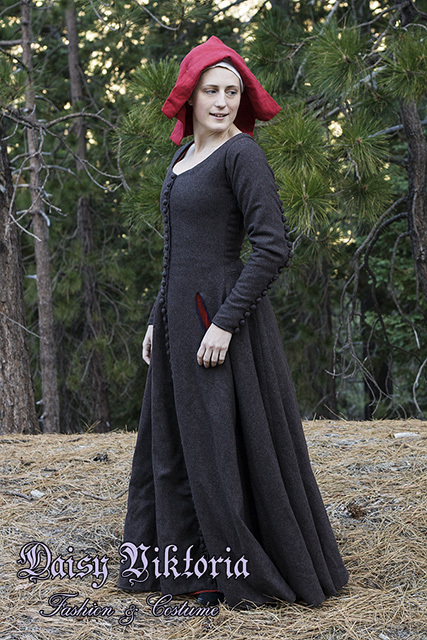 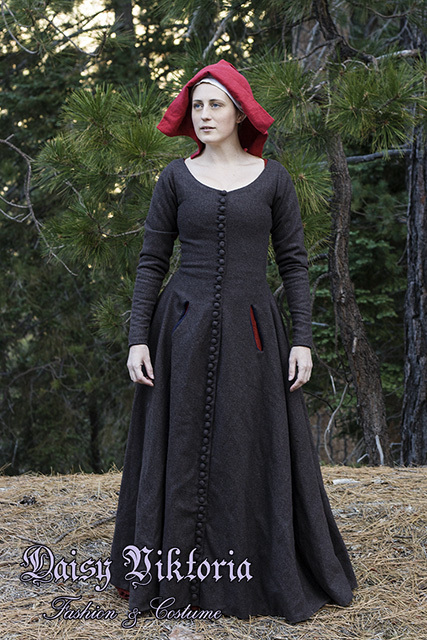 I made this 15th century brown wool gown to stay warm in the winter. 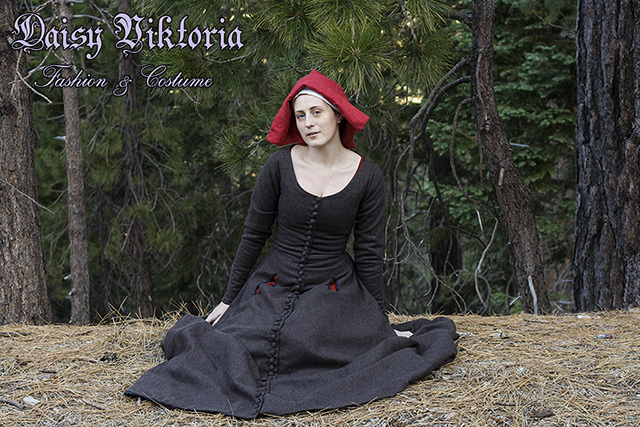 The gown is fully lined in linen and features fichets, or pocket slits. 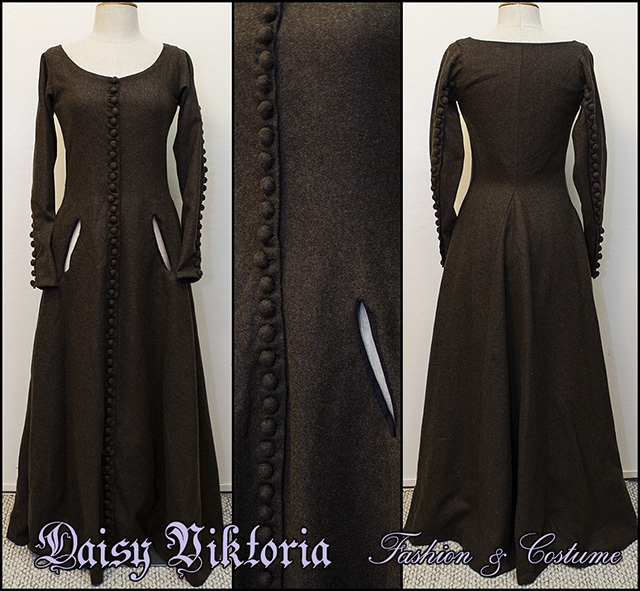 The buttons were all made by hand, and the button holes are all hand sewn. 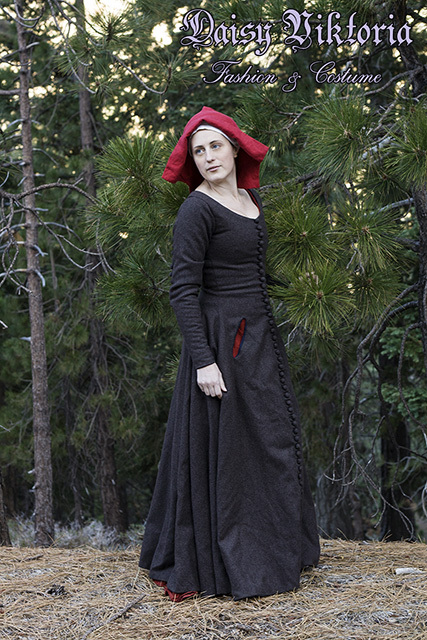 The hood is made of red linen.